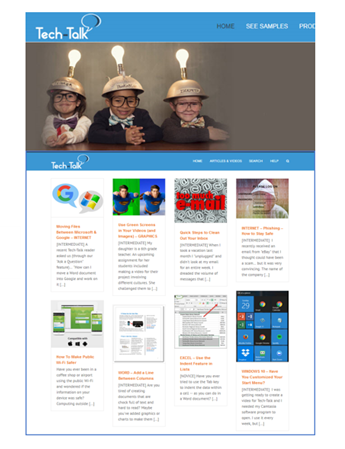 Announcing a new learning resource for you: Tech-Talk Database, designed to create heroes at work using technology. 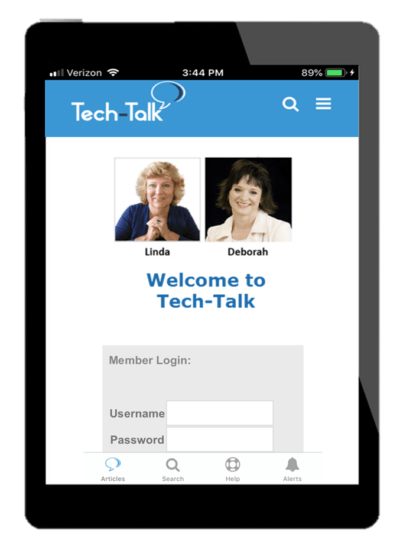 WHAT’S IN THE TECH-TALK DATABASE? HOW CAN YOU GET TECH-TALK? Tech-Talk empowers people (students and professionals) to achieve greater success by delivering easy-to-understand articles, videos, and tips needed to be competitive in today’s hi-tech world. Up-to-Date Articles and Videos with fresh ways to use technology at work and communicate with others. New material added weekly. Video Demonstrations of technology topics, with closed captioning as an option. Topics Categories include: Microsoft Office (Word, Excel, PowerPoint) to Google’s G-Suite (Docs, Sheets, Slides)… Graphics and Video Creation … Communication Tips and Social Media … and many more. Written for Non-Techies, it gives you 1) a new perspective on the subject, 2) fresh ideas for using the feature and 3) an accurate and complete “how to” section. NEW articles and videos are added to the Database every week. Sign up for the newsletter which is distributed via our Points North Newsletter list. Skills with Microsoft Office and interpersonal communications are highly prized by prospective employers. With this information, you have a greater chance of gaining a good job and higher pay. You’ll build confidence, competence, and self-reliance, becoming a hero at work using technology … and a reputation for your positive interaction with colleagues. 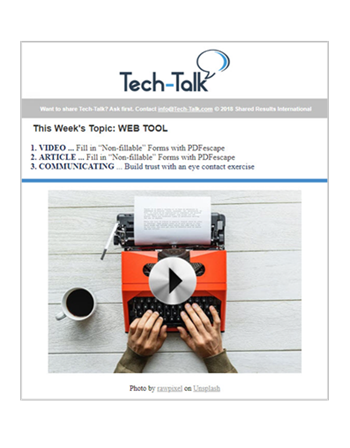 When you sign up for our Points North Newsletter, you will also receive weekly Tech-Talk emails. Download the app from the app store on your device.